Costa Rica Supernatural School of Ministry (CRSSM) is a ministry center in southwestern Costa Rica providing Christian leadership development, ministry equipping, and hands-on mission training for Spirit-filled believers from around the globe. The goal of CRSSM is to equip and deploy revivalists who passionately pursue worldwide transformation in their God-given spheres of influence. We offer local, pastoral training as well short-term mission trips ranging from 7 days to two weeks. The trips feature ministry outreach opportunities to demonstrate genuine love and the supernatural power of the Holy Spirit within this impoverished, developing nation. We invite you to come and be trained on the field. Live, love and learn from the poor. CRSSM is a 501c3 nonprofit organization affiliated with other similar ministry centers such as Iris Global and BSSM. 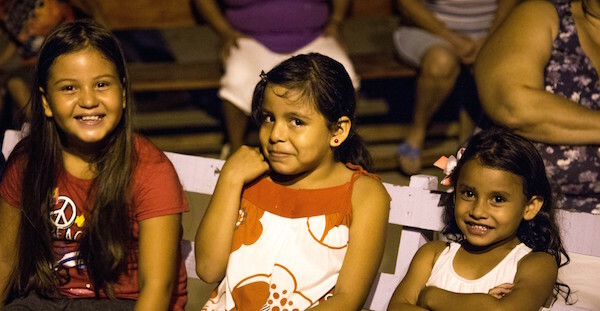 We are also strategically partnered with several churches in the US and Costa Rica. CRSSM is a missional transformation center determined to send laid-down lovers of Jesus to the ends of the earth. Our goal is to train and equip believers to seek deeper intimacy with Jesus in an atmosphere saturated with uninhibited, whole-hearted worship, radical acts of faith, and supernatural lifestyles. Our quest is to pour out love to the local community through bringing the Good News to the poor, healing the sick, binding up the brokenhearted, and proclaiming freedom to those who are captive. To establish a Spirit-filled and Kingdom-focused evangelistic ministry center with a focus on both the local and global church. To equip the emerging generation of worshippers to lead those around them into radical, intimate, life-transforming encounters with Jesus Christ. Our first priority is to train local leaders and pastors as well as short-term outreach participants to become passionate lovers themselves. Through the cultivation of humility, freedom, discernment, and leadership, a Holy Spirit-fueled army of skilled and confident servants will be raised up, those who can shift the atmosphere in the darkest of places. To carry forth the light of the gospel to those who are “least”: the poor, the brokenhearted, the abandoned, the needy. We desire to embrace the Kingdom’s DNA so fully that we will stop for the one and believe for the multitude. To go and to love through sacrificial service. This is the primary calling of any worship warrior. It is out of this place of laid-down love that the Father’s presence will flow in greater measure, leading us deeper into His glory and further into His joy. We understand that we can experience intimacy, communication, and companionship with God if we share His love for righteousness. We are totally dependent on Him for everything, and we need and expect miracles of all kinds to sustain us and to confirm the power of the Gospel in our ministry. We look for revival among the broken, humble, and lowly and begin with ministry to the poor. God chooses the weak and despised things of the world to shame the proud, demonstrating His own strength and wisdom. We understand the value of suffering in the Christian life. Learning to love requires willingness to suffer for the sake of righteousness. Discipline and testing bring about our sanctification and produce in us the holiness without which we will not see God’s face and share His glory. Like Paul, we rejoice in our weaknesses, for when we are weak, then we are strong. We are confident that the joy of the Lord is our strength and far outweighs our suffering! In Jesus it becomes our motivation, reward, and spiritual weapon. In His Presence is fullness of joy, and, like Paul, we testify that in all our troubles, our joy knows no bounds (2 Cor. 7:4). 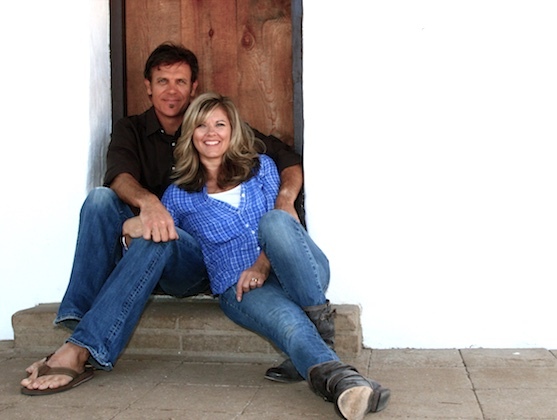 Steve and Judi Hertzog are a couple who are intimately familiar with the overcoming power of God in their lives, a testimony which they are more than eager to share with the nations. Having both been raised in Southern California, they were individually exposed to all the Golden State had to offer, including the pain of divorce and the destructive nature of alcohol and drugs. They met in Mammoth Lakes in 1990 as recovering addicts attending Alcoholics Anonymous, and a year later were married. They are blessed with three beautiful daughters and ten incredible grandchildren. Launching Mammoth Outdoor Sports (formerly Mammoth Sporting Goods) in 1978, Steve has enjoyed a successful career as a small business owner and entrepreneur. Upon their marriage, he and Judi co-managed the business until retirement in March of 2014. It was during their first year of marriage that Judi met Jesus Christ as her Lord and Savior, and her life was transformed. Steve, then a self-professed opponent of Christianity, embraced salvation at Judi’s baptism, and the couple began their lives’ greatest adventure. Attending Church on the Mountain in Mammoth, California for over twenty years, they grew deeply in the Lord and were honored to serve in many capacities of leadership. Over the past six years, they have assisted the senior leadership team for The River Church in Bishop, ministering in home churches, Bible studies, marriage seminars, inner healing classes, and prophetic and healing ministries. They have also been privileged to minister in Russia, China, South Africa, Zambia, Mozambique, Zimbabwe, Fiji, Mexico, Indonesia, and Central America, preaching, teaching, equipping, and training the nations. Their heart for Costa Rica was ignited during their honeymoon in 1991, and a year later they had purchased their first property in Playa Zancudo, building a small beach home three years following. After the sale of that initial purchase, they went on to acquire a parcel of land in Pilon de Pavones and soon completed their current home. Over the ensuing years their land holdings have expanded to include the current site for CRSSM. Fueled by a passion to send radical lovers of Jesus across the globe, their call is to spiritually mother and father the upcoming generation. 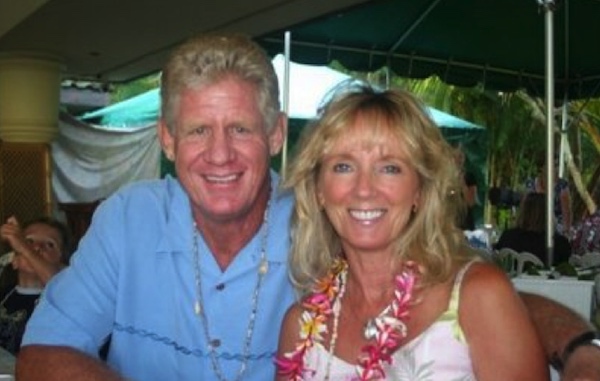 With that fervency burning in their hearts, Steve and Judi founded the Costa Rica Supernatural School of Ministry in 2015. Born into ministry-minded families, Chris and Tiffany Nesbitt married in 1989 and began a lifelong commitment to servant leadership. Chris has drawn upon decades of worship leading experience to bring training and mentoring to worship leaders around the world, ministering and teaching in South Africa, Uganda, Mexico, Costa Rica, and the US. As a psalmist, his worship albums have been highly acclaimed in Worship Leader Magazine, CMCentral.com (CCM Magazine), and other international publications. With a background in marketing and sales, Chris operated an insurance business from 1997 until 2016, leaving it behind to serve CRSSM, as his true passion lies in discipling a new generation of worshippers. Tiffany’s emerging call as a writer and speaker can be traced, in part, to her 18 years as a home educator. She is a student of the Word and gifted teacher who is continually drawn upon to mentor and disciple the next generation. With the exception of a few years spent in Franklin, Tennessee, Chris and Tiffany have made their home in San Clemente, California since 1991, where they have raised four children and served at Heritage Christian Fellowship for nearly 24 years. Since 2005 the Simons family, Jeffrey, Sylvia, Kaleb and Isabella, have been faithfully serving the unreached people groups of Southern Mexico. Jeffrey’s dream to see the Kingdom of God expand in the remote places of the earth was birthed during his years of studying cross-cultural ministry at Biola University. 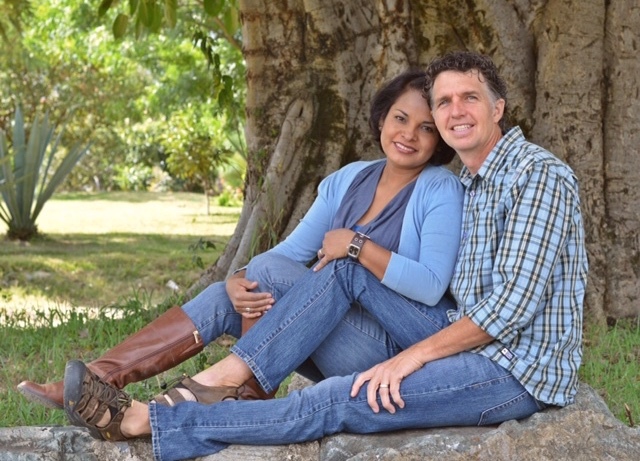 When he and Sylvia married in 1996, they began leading short-term mission trips to Latin America while Jeffrey concurrently taught in the public schools of Southern California. In spite of the challenges which come with leaving behind the comforts of home, the Simons have been willing to trust God’s leading and provision as they have served the indigenous people of Mexico. For the past ten years, they have discipled and ministered to the physical needs of the Latinos, training them to be agents of God’s Kingdom. A tremendous benefit of their lifestyle of faith has been the seeds which have been planted in their teenagers, giving them a hunger for the adventure of journeying with God. As a family, they are committed not only to the Great Commission, but also to raising up the next generation to take the Father’s love, healing and redemptive power to the darkest places of the earth through the power of the Holy Spirit. 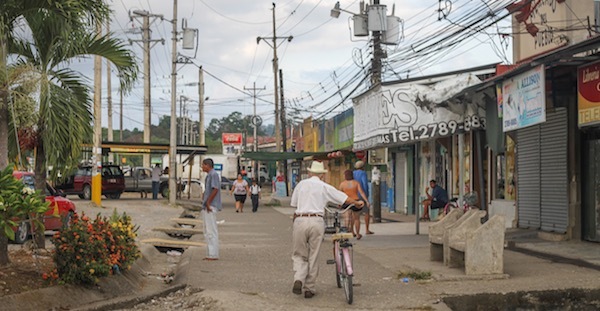 Annie’s heart for Costa Rica was born in 1996 when she first sailed into Golfito Bay. 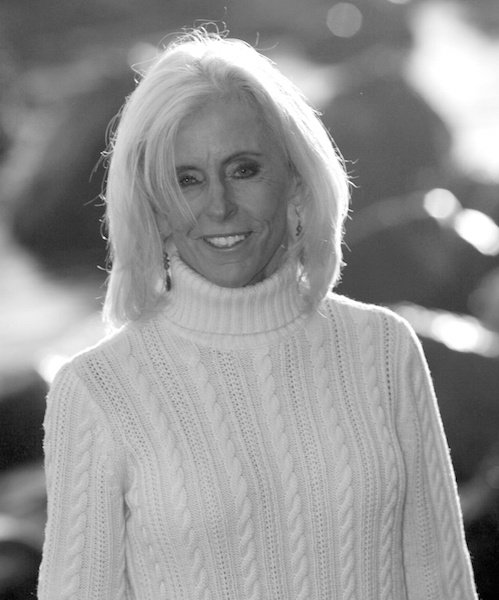 She had been told to check out the Zancudo and Pavones beaches on the advice of longtime friends Judi and Steve Hertzog, whom she had known from Mammoth Lakes, CA. A love affair with Costa Rica began, and through the years that followed, Annie and the Hertzogs would meet to surf the waves and dream of what God might have in store for this beautiful nation. Around 2005 Annie became seriously ill, and within months she experienced a radical, supernatural healing. This served as a spiritual wakeup call in her life, as God was revealing to her that there is no retirement in the Kingdom. Soon after this the Lord gave her the assignment of recording 23 life-changing testimonies in the book TESTIFY, which has been read worldwide. Since that time, she has been privileged to walk alongside other women in the completion of their own creative projects. It was also during that season that Annie began to realize the value of discipleship. Through a mentoring relationship with an older woman, Annie was able to see the lateness of the hour and the crucial need for equipping younger women. As a result, she has spent the last five years partnering with women: raising them into leadership, helping them to grow their personal relationships with Christ, and equipping them with strength as iron has sharpened iron. Annie desires to see the students of CRSSM thrive in a similar atmosphere of strong mentoring relationships. Adrianna brings a tremendous tool box of life skills and experience to CRSSM’s Director of Development position. 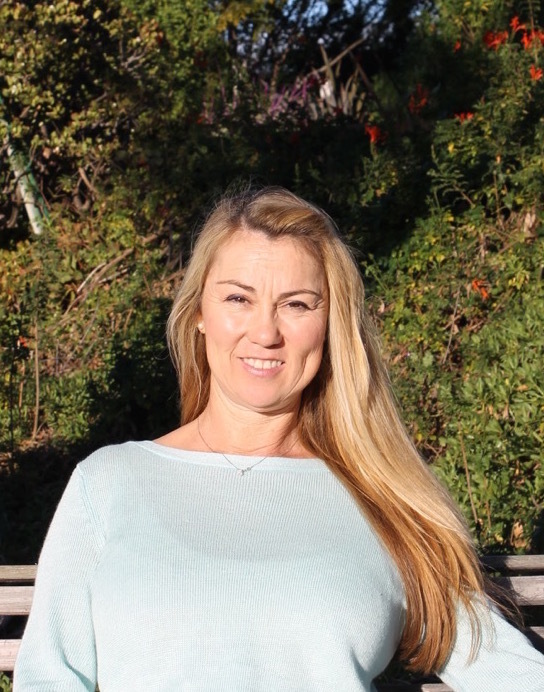 As a sales professional with more than seventeen years of experience in the foodservice industry, she is skilled in maintaining strong relationships and has a proven track record of working with multi-cultural teams. Adrianna is proficient in strategic planning and analytical evaluation and is a self-motivated individual full of enthusiasm and confidence. In addition, she has been blessed with the spiritual gifts of administration, leadership, and hospitality, and is fluent in Spanish. 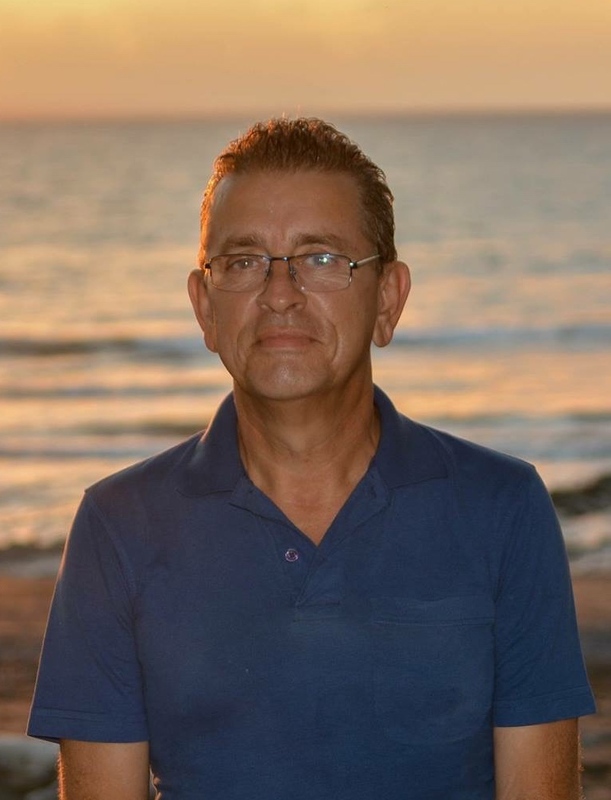 A native of the beautiful land of Costa Rica, Pastor Eric Lopez has a passionate desire to see the Kingdom of Heaven come to earth in the hearts of his fellow Ticos. Having been raised in the capital city of San Jose, Eric experienced a childhood filled with substance abuse, emotional pain, and blatant occult activity. As a young man he left his homeland for the United States, where he spent almost twenty years traveling as a percussionist with a successful salsa band. During that time he began to realize his desperate need for the Lord, and while playing in LA, he experienced a supernatural encounter with Jesus. After returning to Costa Rica, accepting Christ as his Savior, and being delivered from the darkness of his past, Eric spent two years of intense discipleship in his local church. It was then that Jesus spoke a calling over his life to serve His Church. 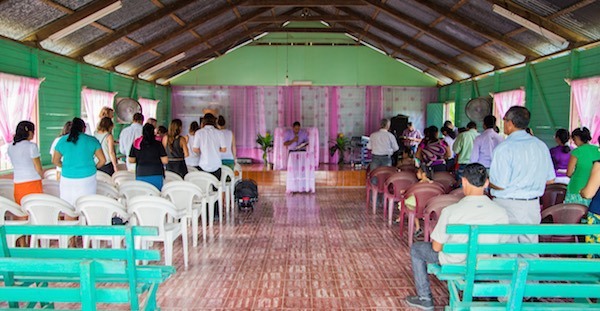 Eric began a fruitful ministry as an itinerate teacher, connecting with churches all over Costa Rica. Upon meeting Steve and Judi Hertzog in 2015, Eric became convinced that CRSSM was the Lord’s divine direction for his life, and he immediately began working as an interpreter and liaison for the ministry’s outreach teams. He is convinced that revival is coming to Costa Rica and is excited to see how the Lord is using CRSSM to help usher in a mighty move of the Holy Spirit to his nation. Eric has been married to his lovely wife Marta for 27 years and is the proud father of Cindy and Emmanuel, both of whom are musicians serving in the churches which they attend. He currently resides in Santa Ana, a suburb of San Jose. Shortly afterward, his wife came through the church doors and up to where he was standing. They embraced in tears of love, forgiveness and reconciliation. God answered this prayer quickly! ...after we finished praying his face was glowing with hope, joy and love. I have never seen a face change that quickly! Our time in Costa Rica was wild!! Each time we took a risk, God stepped up and released his Spirit!! It was amazing for our team to get caught up in God's love for the people of this nation and to see him pour out his faithfulness! The street evangelism was awesome. I got to witness and minister to a young man who was running from God. His father shared with me that he had been praying for someone to speak into his son's life. This trip taught me so much! I learned that it is so important to go back to God (the well of love, life and power) every day. We were received at the churches with such joy and anticipation. It was such a blessing to see brothers and sisters in the Lord from a different culture pour out their hearts in prayer and praise during our ministry.